Stylish Vintage Wanderlust World Map Watch topped with a vintage world map background on a large face, stainless steel back, leather band, a polished metal case, a secure adjustable polished buckle closure. 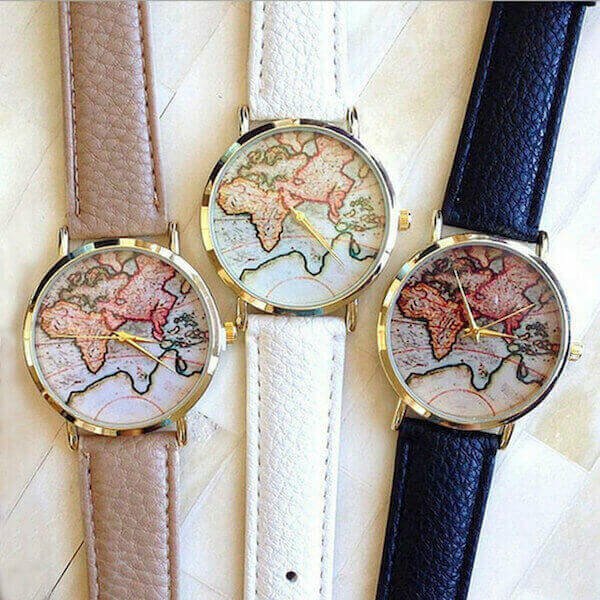 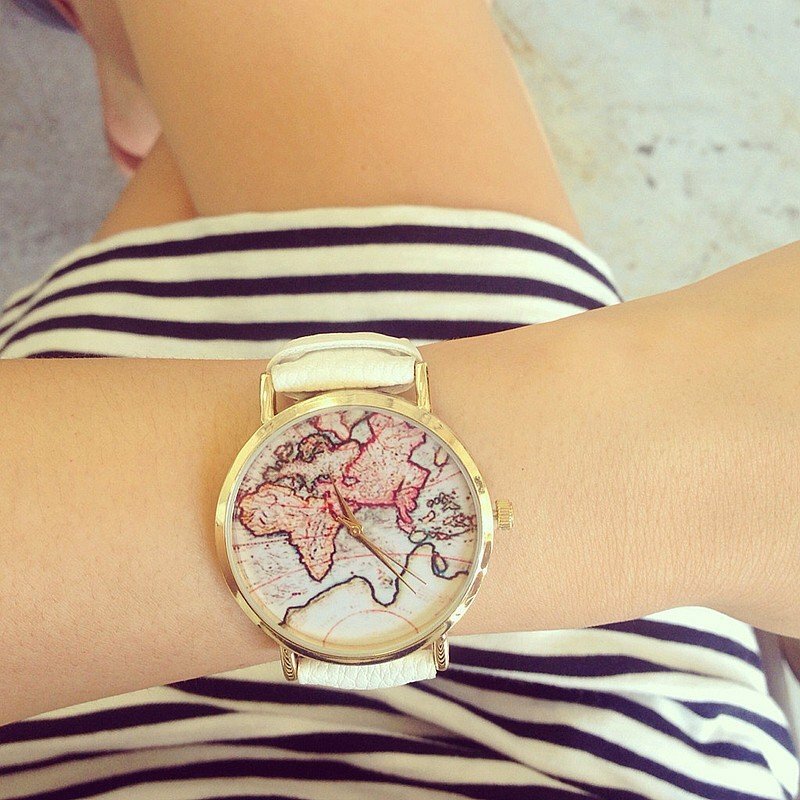 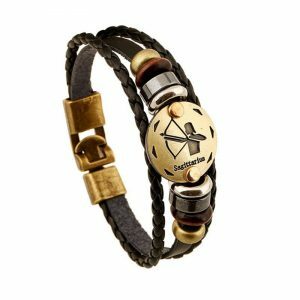 Exploring the world in 12 hours with this beautiful around the World leather watch. 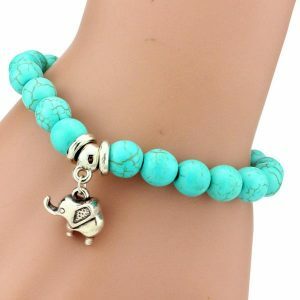 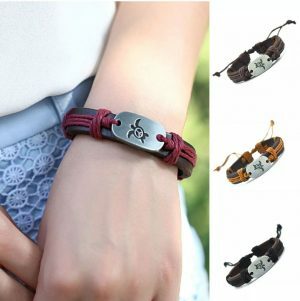 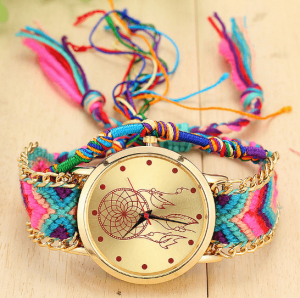 This watch comes with 3 color choices, perfect to wear with other bracelets. An original gift idea to your family members and friends and every traveler.